Are there any brands or companies that you continually return to, offering up your patronage time and time again even though there are plenty of other options? Do you make more expensive choices just because you prefer one commodity to another? 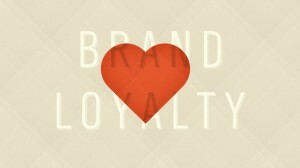 What is it about these companies or businesses that encourage you to be such a loyal customer? I’ll bet I know what. First of all, you probably keep using those businesses because you are familiar with them. They make you feel comfortable, you know how they work and you have used their services before. You don’t feel the need to try anything new. Secondly, there’s another very simple reason you might stick to those businesses: you prefer them. You enjoy their services, you like their products, and you don’t want to use anything else. Lastly, you are confident in them. You can be sure that you will get what you need and that if anything goes wrong or if you have any sort of issue, they’re going to take care of you and make sure you are perfectly happy. Or, more simply put: You know, like, and trust them. I’m sure you have heard me say this little phrase in many of my videos, blogs, and products. And I don’t just repeat myself because I’ve run out of things to say; I constantly repeat this phrase because it is one of the most important lessons you will ever learn from me. But I do realize that I might, occasionally, make it sound a bit easier than it really is. I often run right over this phrase because I know you have all heard me say it before. However, that doesn’t mean it is simple. In fact, getting prospective clients to know, like and trust is one of the most difficult tasks any fitness professional will face. That’s why I’m going to break it down for you today. I’m going to explore, in detail, all the tools and tricks you should use to get your prospects to know you, encourage them to like you, and show them that they can trust you enough to become your long-term clients. Let’s take a look at what it takes for clients to know you and how you can work to make that happen. What’s essentially the only way for an individual to feel as if they know someone? Well, as far as I can tell, you can only know someone if you have met them. So if you want your clients to feel like they know you, then go and meet them. Now, for personal trainers, this is easy. Obviously you meet all the clients you coach. But, we want to make it so that a prospect feels as if they know you before they ever meet or have a session with you. And I realize that for any sizable business it becomes impossible for the owner and operator to meet every client face-to-face. But that doesn’t mean you can’t make each unique client or even each prospect feel as if they have met you and know you. How? There are plenty of ways. Obviously, you can literally meet as many of them as possible, but you’ll never reach them all. For those you never see in-person, create multiple places where you can tell your story, give your message, and present yourself and your personality out to your clients. I’m sure you are building an email list of clients or may even have a blog. Keep these relevant and update them regularly with stories and anecdotes about you, your life, and your business. Be personable, use “I,” and share who you are as much as you can. Anyone who reads your messages will get a sense of who you are, what you are all about, and will feel as if they know you. Do you have a central story about how you got your start in the fitness industry or a mission statement that embodies your personal vision for your business’s impact on your community and your clients? If you do, awesome, if you don’t, come up with something. When you’ve got it, distribute it wherever you can. Hang it on the walls of your Boot Camp, put it in your emails and on your website, and have your employees tell it as much as possible. Your personality, your words, your goals will be floating around your place of business, passed around on the Internet and will be on the lips of all your employees and clients. People will have an opportunity to ‘meet’ your personality with any of these sources. Now that people know who you are, lets check out some ways to get them to like you. The easiest method is pretty simple: provide incredible service. I’m sure this was obvious to all of you. If you want your business to be a favorite or your product to be preferred, it has to be the best. I know this is a tall order but that’s the way it is. But what about people who haven’t even tried your product, been to your boot camp, or had a training session? Here’s where we complicate the message used to get clients to know you. While the first purpose of those messages is, as we have said, to have clients feel as if they know you, you want them to know you in a particular way— a way that will encourage them to buy from you. You need to carefully craft the communications that broadcast your character and make sure they present your personality in a likable manner. Be someone relatable, send a message of help and care, and allow prospects and current clients to see in you someone they like. You can also encourage prospects to like you by providing a service to those who have not yet purchased anything from you. How do you do this? With content emails. As you build and mail out to your list you need to send (along with your carefully crafted story) free but valuable content that will genuinely help your readers. Make anything free and people will adore you for it. It’s the magic word and it’s a surefire way to generate love from your current and prospective clientele. But, remember, whatever you offer must be as awesome as your more expensive services. It can be as simple as a recipe or a workout, or as complicated as the blog post you are reading right now, but it must add real value to your clients’ lives. That’s the best way you can get them to like you. Finally, and perhaps the most difficult, is convincing others to trust you. 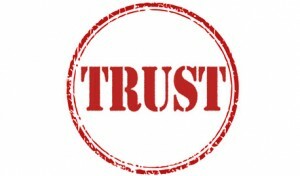 One easy method for building the foundation of trust is offering a guarantee. Guarantee your product’s usefulness, guarantee your service’s effectiveness, and always offer a money-back guarantee. What’s difficult about this, however, is staying true to all these offers. You have to genuinely provide incredible service, your product must do what you claim and more, and when people call demanding their money back, you had better give it to them. Making a guarantee is easy— it’s upholding it that can be difficult. 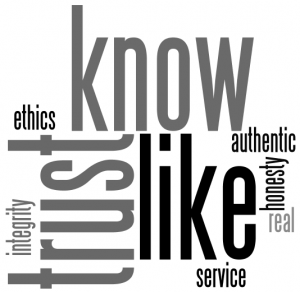 But by offering it you build trust with prospective clients, and by upholding it you grow trust with existing clients. To do well as a fitness professional you need clients to know, like, and trust you. Hopefully, now, you have a better idea of how you can accomplish that.